Someone once said that some days are like coal, and some days..are like diamonds. Some times your the windshield and some times your the bug…Today was a one of those days when I just wasn’t feeling very inspired until a friend of mine called me up and aasked me to go to the Lowcountry 30th Annual Oyster Boil in Mount Pleasant, SC. I met several wonderful people, Mike and I shot tons of images, this couple was actually posing for thier friends to take a picture of them with thier “point and shoot” camera (may have been an iPhone). Luckily I had my telephoto and grabbed a few shots. If they email me, I will be glad to share these images with them! I hope everyone enjoys some of the images in my new Gallery “Moments in Time”. No telling what I will be posting in there, but it looks like I have taken on a new project…Street photography with a southern twist on it. Sometimes, we just need, to stop, lean back, relax, and be thankful for what we have……and just enjoy the moment. Equipment used: Nikon D700, Nikkot 24-70 2.8 lens, Induro CT213 tripod, Indure BHD2 ball head, and a full ND filter. Coastal twilight can be so peaceful. 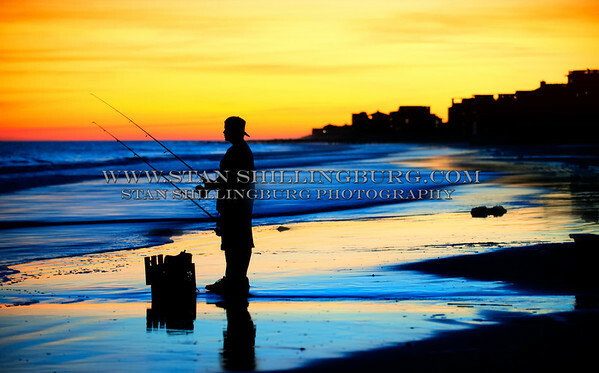 I had just finished up shooting a sunset swimwear shoot and we were walking back up the beach when we cam upon these two fisherman. the young boy disappeared in the shadow of his older brother, but his fishing pole shows sharply just below his big brother’s. Sometimes the beauty of family can simply add so gracefully to the beauty of Mother Nature and her evening colors. Luckily I still had my camera attached to my tripod so grabbing this shot was far too easy for the amount of pride I get from the capture. I know it is not perfect in it’s post production work, but the pure enjoyment of the moment is priceless! Equipment used: Nikon D700, Nikkor 24-70 2.8 lens, Induro CT 213 tripod, Induro BHD2 ballhead. 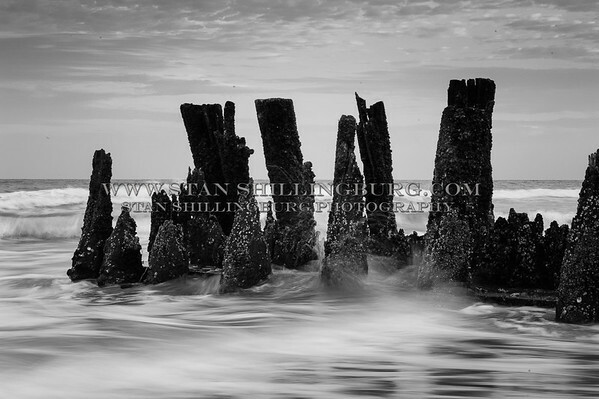 As always, my images are copyright protected and available to you as wall art prints, wraps, and other merchadise. More info available on my “About” page. You can click on any of my images to see them in HIGH RES. Thanks for visiting! Y’all come back now, ya hear? 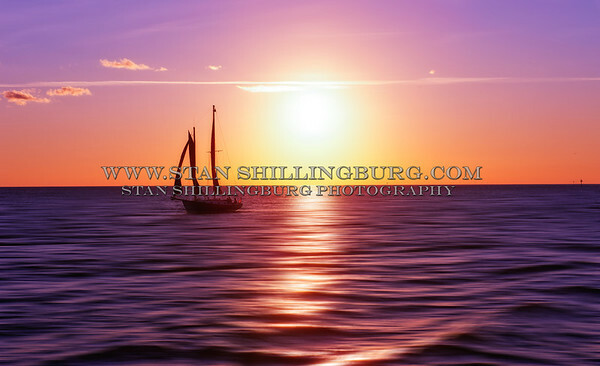 I posted a similar image in my blog already, but just could not decide which on I liked best…this has the sail boat sailing away from the sun, the previous image has it sailing into it (the benefit of being at the right place at the right time I guess!). Hope this one brings even warmer feelings for everyone.